I discovered that I can achieve all sorts of lovely, organic textures with the help of a small brick in the jewelry studio. 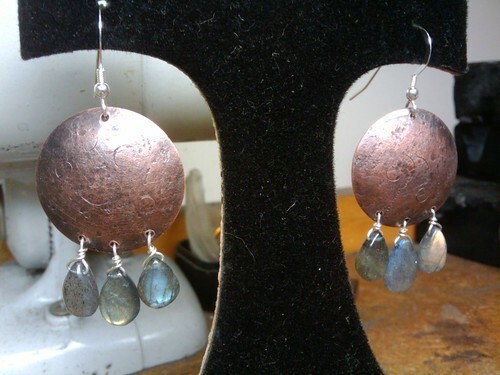 I'm really excited about these earrings--they remind me of the moon and underwater kingdoms. These earrings will be at open studios on November 21 and 22!